During the Christmas and festive season, families often catch up with each other to celebrate - visiting their elderly parents - or discussing the health condition of loved ones with other family members. This can be a time when you realise that the person that you love has had a difficult year, and may continue to have problems during the next year. This is an excellent time to start the planning for residential aged care. Unfortunately, many families that we have assisted over the years have only considered and approached us after a serious event has happened to their loved one; like a fall, a stroke; increasing short term memory loss, or a visit to hospital - which has then urgently initiated the aged care placement process. There is a wide choice of types of residential care and the quality of the care delivered can vary. It pays to take some time to get the right outcome, and it is definitely not a good idea to make decisions about this important subject in a hurry - Hasty decisions inevitably lead to mistakes being made. Families are usually not in a position to know where the best residential care option is available. The holiday period is an excellent time to seek experienced advice from a professional aged care placement team such as Senior Moves. We won't be switching the business off over the Christmas and New Year period. Our team will be hard at work over the holiday break assisting our family clients. So Relax - we are here ready to assist you through the holiday season. The holiday period can be filled with family, laughter, food, and celebrations - a wonderful opportunity to have extra time with your elderly relatives. But the time can be spent rushing to find presents, worrying about expenses and getting your family around to visit all of your relatives. 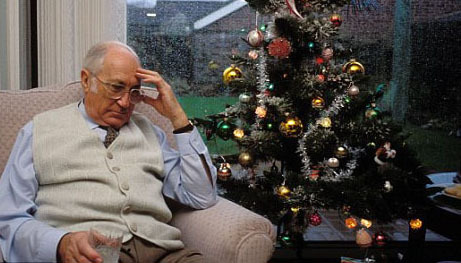 It’s your presence during the holidays that your elderly parents and relatives will cherish dearly. In the past, your parents were in charge during the holidays and all the focus was on the children. Now as your parents age, it’s the adult children's responsibility to organise the festivities during the holidays. But how do you plan a fun day of celebrations with your whole family when some relatives may be spread apart or are being looked after in aged care? Turn on some holiday music and get the whole family to help decorate your loved ones room to create a festive mood. Why not pull out your parents treasured holiday decorations and encourage them to tell stories of the past? Include your children in the festive family rituals you have or create new ones such as making tree ornaments or homemade cards in the crafts and games room. Don’t forget to bring your loved ones a favourite holiday snack or dessert they may associate with the happy holiday season. Aged care communities encourage family participation and often have many activities you can do as a family both in and outside. Over the holiday season, get outside and enjoy leisure activities with your family such as bocce ball, festive picnics or barbeques. You could even take the whole family to the local Christmas carols. Aged care staff love to help make these occasions as enjoyable as possible. Want to escape the heat but still want to enjoy activities with your family at an aged care facility? Try a game of indoor bowls, watch a Christmas movie, play a card game or enjoy some live music on the piano. There are numerous ways to involve the whole family in fun and festive activities over the holidays in the aged care community. Help your elderly family members get connected through technology. Internet is commonly available in suites, library or computer rooms. Organise a time to email photos or videos to your elderly loved ones. They will get joy from receiving an email and they will love sharing the updates with all of their friends.